One of Melbourne's most fascinating museums, a unique site devoted to creativity. 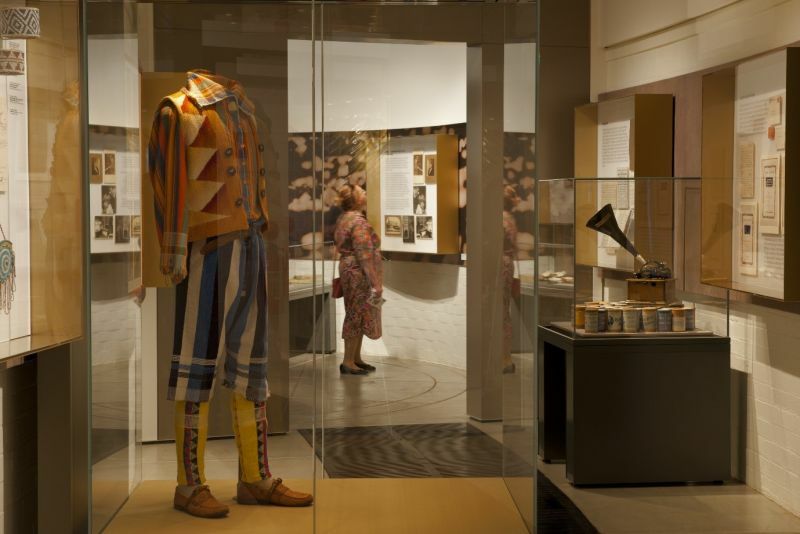 The Grainger Museum—the only purpose-built autobiographical museum in Australia—is home to a wonderful collection of art, photographs, costumes, music scores and instruments acquired by Percy Grainger, an icon of twentieth century Australian musical culture. Find out more about volunteering, our Members Program and giving to the Museum. Learn how to search and access the diverse collection for research. The Grainger Museum offers collaborative opportunities for student learning. Read more about some of our past programs. Discover more about the Grainger Museum, collection and Percy Grainger. The Grainger Museum is closed on public and University Holidays. The Grainger Museum will be closed from Friday 19 April through to Tuesday 23 April, for the Easter break. The Museum will be open on Wednesday 24 April, then closed again on Thursday 25 April for ANZAC day. The Grainger Museum will be closed for exhibition changeover from Monday 1 April to Friday 5 April 2019. The Museum will re-open at 12.00pm on Sunday 7 April 2019. The Grainger Museum occasionally hosts ticketed events and concerts, view our calendar here. Catch the no. 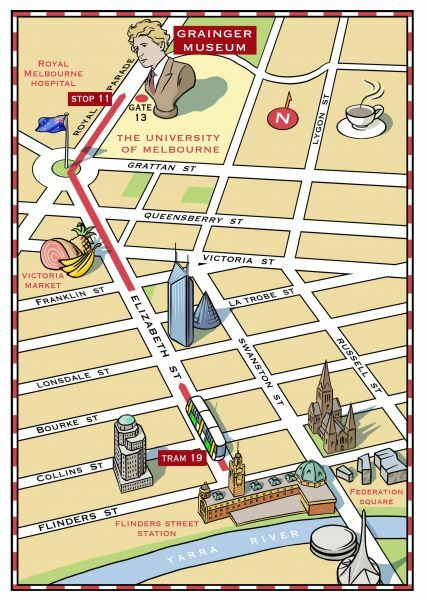 19 tram along Elizabeth Street/Royal Parade and alight at stop 11. For more information on public transport, check PTV. Limited street parking is available on Royal Parade, directly out the front of the museum. Bicycle lock racks are available at the rear of the Grainger Museum, and throughout the University. 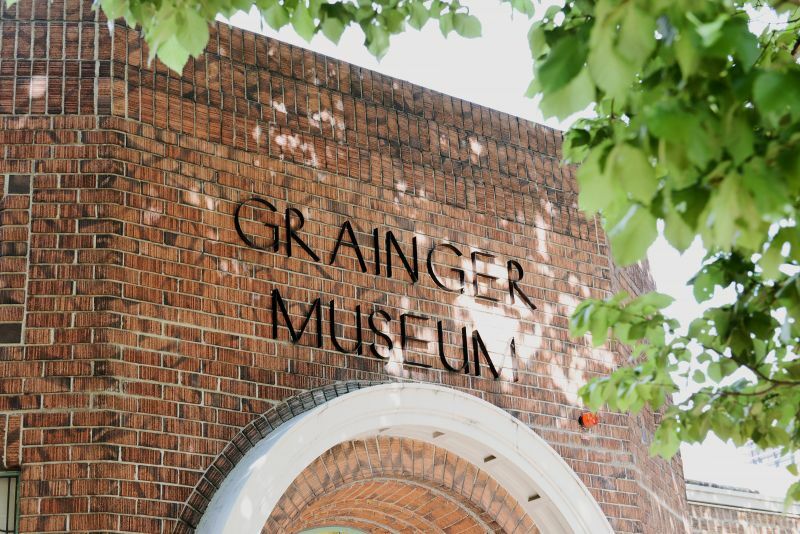 The Grainger Museum is a fully accessible museum. If additional assistance is required, please contact us in advance. The Grainger Museum is part of the University of Melbourne Library and is one of the Cultural Collections of the University of Melbourne. The Grainger Museum is proud to be a member of Cultural Tourism Victoria (CTV) and is accredited under the Museums Australia (Victoria) Museum Accreditation Program. Discover our major supporters and how you can support the Grainger Museum. In this month's Visitor Profile we introduce you to our current intern Regitze, and provide a snapshot of her project with us at the Grainger Museum. We are pleased to introduce our Grainger Museum Composer in Residence, Kate Tempany, who will be engaging with the forthcoming exhibition, How it plays: Innovations in percussion. The Grainger Museum is collaborating with the Melbourne School of Design for the design and fabrication of a key section of the forthcoming exhibition How it plays: Innovations in percussion. 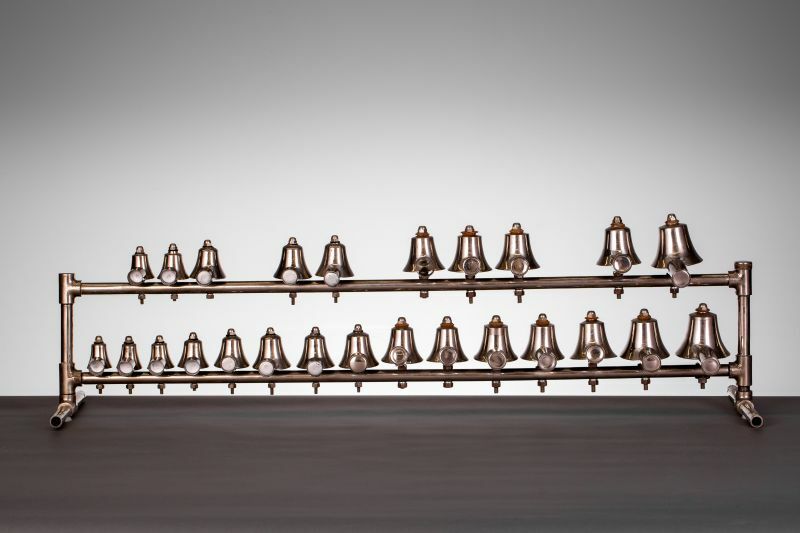 Enjoy a sneak peak into our upcoming exhibition How it plays: innovations in percussion. This month’s Visitor Profile features researcher Marissa Kyser, who has come all the way from the United States of America to undertake research into the collection. Innovations in percussion explored at the Grainger Museum Store. As Merrill has been a part of the Grainger Museum Volunteer Program for over a year now, we thought it was about time we introduced her to you. This month’s Visitor Profile features Christopher, whom we met when he came in to see our Objects of Fame: Nellie Melba & Percy Grainger exhibition. The limited edition exhibition catalogue Objects of Fame: Nellie Melba & Percy Grainger is now available for purchase at the Grainger Museum and online. This month we share a guest feature from Dr Derham Groves, Senior Lecturer in Architecture here at the University of Melbourne. A public research query about the Mona McBurney Collection, held in the Grainger Museum, turned up a fascinating experiment in keeping time for Grainger Curator Heather Gaunt. Meet Kim, a Grainger Museum volunteer. Here Kim talks about her experiences of the role, her own background and her favourite object on display in the Museum. Meet Daniela Gutiérrez, who is currently studying her Masters of Arts and Cultural Management here at The University of Melbourne. Within her MA, Daniela is completing the Engaging Exhibition Audiences Internship at the Special Collections and Grainger Museum. This Science Gallery Perfection exhibition satellite event presents three new compositions created by student composers at the University of Melbourne, played through a sound system in the Grainger Museum courtyard. Visitors are invited to contribute their responses to the sonic environment via a web platform (in the form of iPads installed within the space or on their personal devices). The penultimate in our Sythesizers Public Program series, 'Current Transmissions: 50 Synthesizer Greats' performance at the Grainger Museum on Thursday 23 August, 2018 was a very special experience for all. A special gift to Percy from the King Haakon VII and Queen Maud of Norway, during his 1910 tour. Alice O'Rourke is the 2018 UK recipient of the International Museums and Collections Award. She is currently studying a Masters of Art History and Curating at the University of Birmingham, and has come to Melbourne for a month-long placement at the University of Melbourne. 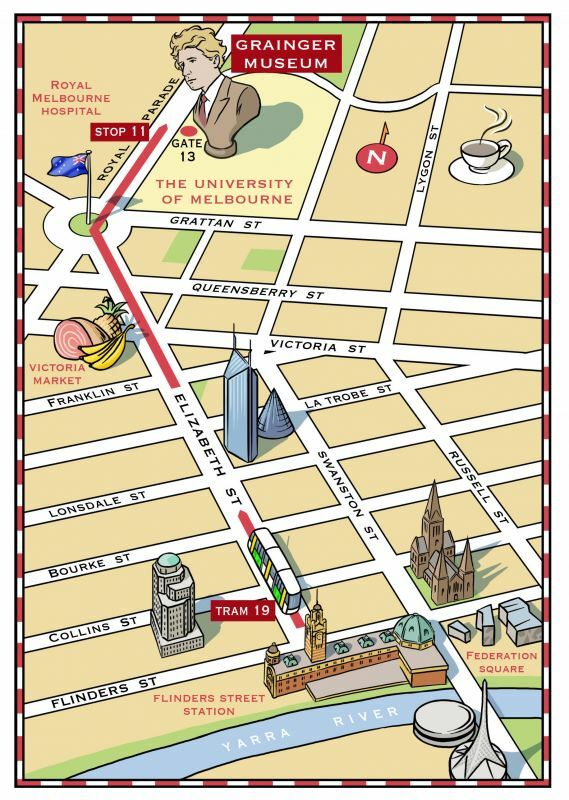 The Open House Melbourne 2018 weekend is almost upon us! This month we met Mitchell and Marcus, two public servants who share a love of electronic music and who visited the Grainger Museum to view our current exhibition Synthesizers: Sound of the Future. Melba sings Grainger’s Colonial SongNellie Melba and Percy Grainger performed together only twice, both times in the context of fund-raising for the WWI War Effort in America. Both Grainger and Melba were deeply committed to using their talents for this cause. Exploring this relationship, Curator Heather Gaunt found another Australian fund-raising connection with Melba singing Grainger’s Colonial Song. It’s a nightclub! It’s a book launch! It’s the Grainger Museum! Our courtyard was transformed into a pop-up techno party of sorts on Wednesday 20 June in celebration of the launch of the latest issue of Swampland magazine, one of Australia’s newest (and, evidently, coolest) music journals. Two students in the Museums and Collections Projects Program, Crystal Baptist and Sharon Wong, are working on a project in the Grainger Museum with Curator Heather Gaunt, to rehouse the large collection of hats. Mike is a volunteer at the Grainger Museum. We spoke to him about his experience of being a volunteer, and what he has gotten out of the role. Discover more about the Bridgeport Presentation Baton, which will be on display as part of the Grainger's next temporary exhibition in September. A team of four engineering students chose to undertake their group Capstone Project in the Department of Mechanical Engineering with the Grainger Museum in Semester 1 2018. The Grainger Museum’s eagerly anticipated new exhibition, Synthesizers: Sound of the Future, is now officially open to the public. Carl Temple explores a little known link with Kaiser Wilhelm II discovered in the Laver Collection within the Grainger Archive. You may have noticed plenty of new faces at the Grainger Museum after an intake of new volunteers was completed in March 2018. In 2017, the Grainger Museum hosted the pilot program Music Making Memories, which focused on wellbeing for people with dementia, and their carers. Our curator, Dr Heather Gaunt, shares an example of how we use our collection to facilitate interactive learning within the university community. Chynthia has recently commenced volunteering with the Grainger Museum. The Grainger Museum was a happening place in the late 1960s and early 1970s. Curator Heather Gaunt explores the Ian Bonighton Archive of scores in the Grainger Collection which illustrate the explosion of experimentation in musical composition at the Grainger at that time. Curator Heather Gaunt explores the fascination with ‘chance’ music at the Grainger Museum by composers in the 1960s, and the influence of Percy Grainger’s MS Random Round. Martha Louise, a recent visitor and donor to the Grainger Museum, shares her story about close family connections with Percy. Objects within the Grainger Museum collection are often requested by other museums and art galleries to contribute to their own exhibitions. Curator Dr. Heather Gaunt explains why our portrait of Nellie Melba by Baron Arpad Paszthory, is currently on loan to the National Gallery of Australia. Heather Gaunt's research for the upcoming Synthesizers exhibition reveals a little known experimental music machine. The Grainger Museum is fortunate to have two postgraduate IT Interns working together at the Grainger three days per week from December 2017 through to February 2018 on a project focused on collection access. Grainger Museum Online is the new platform for the Grainger Museum to present curated exhibitions in an online environment. The Grainger Museum will be closed from Friday 22 December 2017 for the University holiday period and will reopen on Tuesday 2 January 2018. Jon Drews, Client Services Officer at the Grainger Museum, meets with a new Grainger Museum visitor, Michael. Exhibitions Coordinator Brian Allison shares the story behind this platinum print 'Portrait of a dancer', by Stephanie Ludwig. Watch Jon Drews, Client Services Officer at the Grainger Museum, discuss a contemporary reinterpretation of the kangaroo pouch tone tool. Victorian College of the Arts Fine Arts students have created engaging animations using the Grainger Museum collection. The students of the Master of Architecture design studio at the Melbourne School of Design have staged presentations that interpret themes from Percy Grainger’s work and biography in their pop-up exhibition here at the Grainger Museum. Sania Batool has recently commenced volunteering with the Grainger Museum. Kerry Andersson, a volunteer through the Museums and Collections Projects Program, discovered a special item as part of her project to research and develop a tour program. Grainger Museum Curator, Heather Gaunt, provides an introduction to some upcoming changes to the permanent exhibition. In a new collaboration this semester, the Grainger Museum is partnering with a Master of Architecture design studio at the Melbourne School of Design, where students are staging a pop-up exhibition, opening Monday 11th September. On 27 July 2017, the Grainger was animated for Nite Art 2017, a celebration of people, art and the night in Melbourne. Sharon Wong shares her experience working with the Hirschfield Mack collection as part of the Cultural Collections Projects Program. Ella Whitehead was with the Grainger Museum for one week in June as part of her work experience, and here shares her favourite parts. One of the many hidden treasures in the Grainger museum is an eclectic collection of paintings, watercolours and photographs both by and about Australian artist Helen Lempriere (1907 – 1991). We are excited to announce the Grainger Museum is now accepting applications to its volunteer program. The Grainger Museum Collection does more than just repose on display in the Museum or sit quietly in boxes and on shelves in the offsite Museum Store. 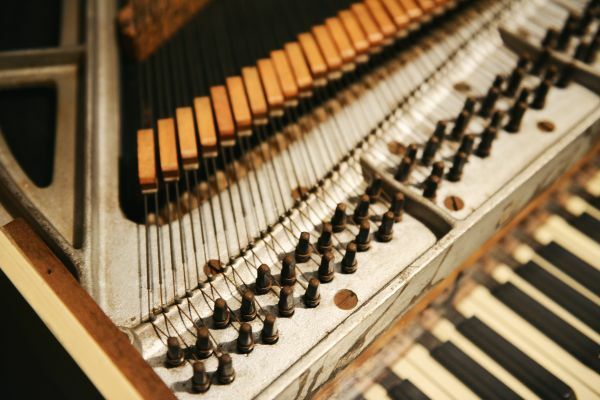 The Grainger Museum has begun a program to connect with, and support, post-graduate music composition at the University of Melbourne. From May the Museum is excited to welcome PhD student Alice Humphries as our new ‘Composer in Residence’. The Grainger Museum was successful in a highly competitive round for Melbourne Engagement Grants 2017. Male savage [figurine], c. 1907. Cork, feather, shell, paint, cloth, beads, paper, pins.Given to Percy Grainger by Knud Larsen, 1907. Say hello to Arthur, future Astronaut and Remote Helicopter Flying Electrician Who Goes Out on the Electrical Wires, who is possibly this week's youngest visitor to the Grainger Museum. Black satin and ermine evening gown belonging to Rose Grainger, with matching sash and stole, M. Levinsky & Co., Copenhagen. Orville model Harp Guitar made by Gibson, 1910s. Currently on loan to the Grainger Museum from a private collector. Do you use the Grainger Museum Archive for your research? 2017 sees a new look Grainger Museum website launched. The Grainger Museum will open in January 2017 for the first time.